You will love this charming retreat! 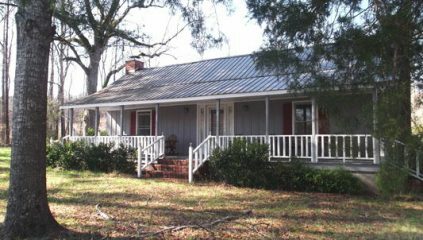 C.1900 Barnett-Reynolds, located on 120 acres on Barnett Branch, this cabin has been updated with all modern conveniences. Center hall, large family room, country kitchen, 3 wood burning fireplaces, 2 large bathrooms, one bedroom, huge front porch with a view of the green field and timbered hills! $189,000. Call Kay!